Playtime is equally important as the sleeping time for babies. From the time a baby is born he/she is learning to adapt to the new world. For this you need a play yard, yes even your 4-month old baby needs it. But buying just the play yard (also named as Playard by companies) will not be enough for an infant. For a toddler, you can use any good mattress in the market, however, when you select one for an infant you have to be careful. In this Dream On Me 3-inch Playard mattress review, we will see the features that a best Playard mattress can offer. Dream On Me is a US-based company that produces furniture and accessories for babies and kids. The 3-inch Playard mattress made by Dream On Me meet the Flammability standards, 16 CFR 1632 /1633 Federal as well as ASTM Standards. If a product could attain all these three certificates the quality of the product is explicit. 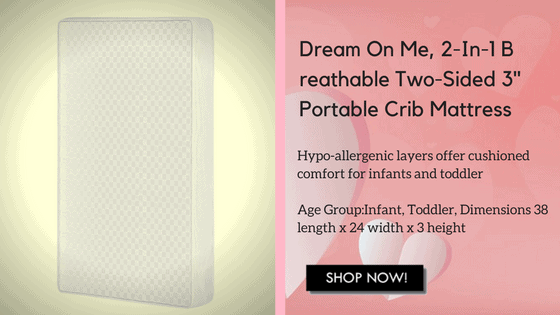 Here in this Dream On Me 3-inch Playard mattress review I will explain all the features that helped this product to achieve these certifications. You also get 10 years of limited warranty for this mattress. This 3-inch Playard mattress from Dream On Me is made of Vinyl and foam. Here 90% is foam and 10% is vinyl. Vinyl is used to make the cover because it is waterproof. Almost all the mattress manufacturers in the market now use vinyl to make the outer layer because it is durable, scratch proof, waterproof, non-conductive of electricity and fireproof to an extent. So using this material for your babies Playard mattress is the right thing to do. 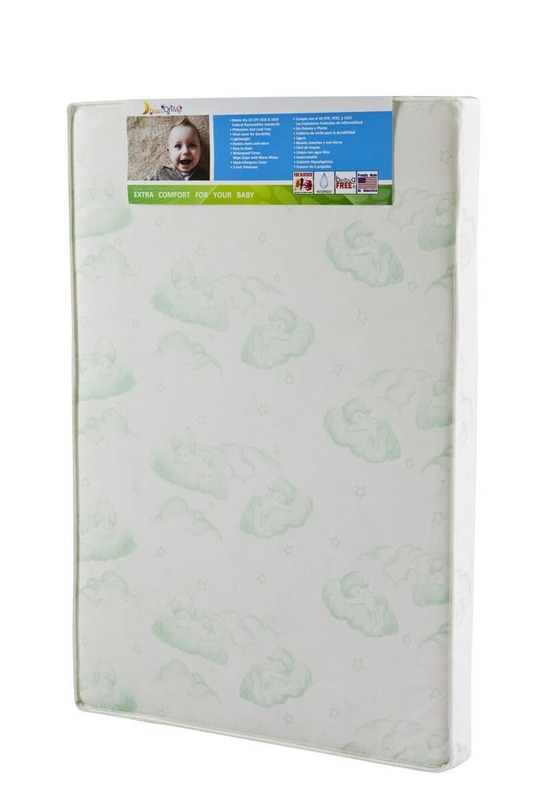 This vinyl covering gives you a Playard mattress that is Antibacterial and hypo-allergenic. So the inner part of the mattress will be protected from mold, mildew, bacteria, and moisture. Dream On Me mattresses have perimeter border-wires that can prevent sagging. The sided are closed by lock-stitched binding. The air-flow pockets in the mattress keep the mattress fresh by giving needed ventilation. The waterproof covering makes the cleaning of the mattress easy and keeps it gem free. The Playard mattress from Dream On Me can accommodate babies weighing up to 45 pounds. While ordering the product you can check the size of the mattress. Dream On Me gives you the option to buy Playard mattresses of different size. Now, let us look into the measurements of the mattress. This mattress weighs 3.5 pounds which makes it lightweight. It has a thickness of 3-inch. The size of the Playard mattress is 37.5 X 25.5. Once you have made up your mind on buying a Playard mattress for your baby, visit the link given here. You can even get the list of Play yards in which this mattress will fit. Select the mattress accordingly. Most of the Pack n’ Play sets recommend using a mattress. If you have not bought a Playard yet, you can buy both the play yard and the mattress together.